This person lived in Russia, knows the effects of communism first hand, and compares the government abuse to the liberal agenda in this country. We can’t afford to ignore eye witness accounts. I’d like to start with a story of growing up in Soviet Moscow. RUSH: Oh, by all means do. RUSH: Wait, Dmitry, where were you when you were this old? CALLER: I was in school in Moscow. RUSH: You were in school in Moscow. Okay. Okay. CALLER: Yes. And I raised my hand, I said, “But isn’t Stalin dead?” And at first, if you could find pins on sale in Moscow at that time, you would hear a pin drop, but then all hell broke loose. CALLER: My teacher started chewing me out. All the kids in the class kind of turned on me, and I didn’t know what the problem was. My mother told me later that she actually got a call from the school, which was lucky that it didn’t go much worse. I actually had a son of a KGB agent in my class. And this was right at the beginning of Perestroika. It was about 1985. And of course a year or two later everybody in my class agreed with me. But the reason I bring this up is you talk a lot about how in this country when you kind of step over the line, when you step out of the party line, whether it’s something politically incorrect or something that makes Democrats look bad, it’s not good enough just to disagree with you, they have to destroy you. They have to get you fired. They have to, you know, if they could, it would be even worse than that. RUSH: They have to ruin you. They have to ruin you. RUSH: Is your wife from Moscow as well? CALLER: She actually is from Russia as well. We met in college here. But she also came from Russia. CALLER: My daughter’s birthday was yesterday, so I actually gave her the audio CD version as well, and she was very excited. That’s the first thing she saw in the morning. CALLER: She just turned 11. RUSH: I am more appreciative here than I have a way of expressing. Your call has just been a highlight. Everything in it. Everything in your call has just been top-drawer great, and I can’t thank you enough. I have just profound appreciation for it. The fact that people like you are in the audience and out there listening every day, I just pinch myself at my good fortune. So I thank you. Hold on so Mr. Snerdley can find out where it is we send the Liberty-autographed book. It’s not really Liberty. Liberty doesn’t sign it. It’s just kind of a horse-hoof stamp that Liberty uses. It’s got the name there, too, but it gets it done. It’s cool. I appreciate it, Dmitry. Thanks very much. How does Kwanzaa compare to Christmas? Nancy Pelosi asked, “Is there not an appreciation for the Jewish holidays? The Christmas holiday? Kwanzaa? The origins of Kwanzaa are political. Ron “Maulana” Karenga created Kwanzaa in 1966 as the first specifically African-American holiday. Kwanzaa celebrates race. Anybody who argues that Kwanzaa is not comparable to Christmas is, of course, a racist. But Kwanzaa is all about race. It is a black-only celebration. Hanukkah,also known as the Festival of Lights, is an eight-day Jewish holiday commemorating the re-dedication of the post-exilic temple (the Second Temple) in Jerusalem at the time of the Maccabean Revolt of the 2nd century BC. According to the Talmud, the Temple was purified and the wicks of the menorah miraculously burned for eight days, even though there was only enough sacred oil for one day’s lighting. The first-century Jewish Historian Flavius Josephusdescribes the celebrationin his book Jewish Antiquities. Christmas celebrates God becoming man in the person of Jesus Christ (John 1:1, 14). Jesus was born into a Jewish home of the tribe of Judah. While Jewish in human heritage, his message was for the world. “For God so loved the world that He gave His only begotten Son, that whoever believes in Him shall not perish, but have eternal life” (John 3:16). In the next chapter of John’s gospel, Jesus encounters a Samaritan woman, or I should say, a Samaritan woman encounters Jesus. She said to Jesus, “‘How is it that You, being a Jew, ask me for a drink since I am a Samaritan woman?’ (For Jews have no dealings with Samaritans. )” (4:9). Jesus united people of different ethnic and racial backgrounds (Acts 8:25–39). After hearing her encounter with Jesus, “many of the Samaritans believed in Him because of the word of the woman who testified ‘He told me all the things that I have done’” (4:39). 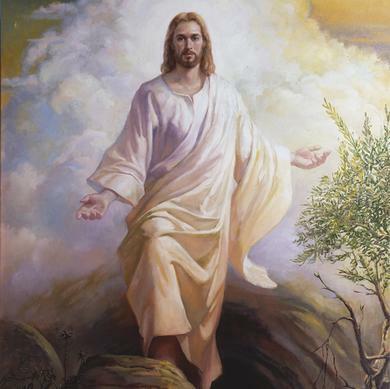 They later testified, “this One is indeed the Savior of the world” (4:42). Jewish Antiquities xii. 7, § 7, #323. The scriptural passages are in italics. Bold Italics are Jesus’ interpretation. Commentary from Understanding the Parables of Jesus Christ, by Jay A. Parry, Donald W. Parry. Page numbers are cited from this book. Emphasis added. The wayside would have brought to mind the roads or paths that led around and through the farmer’s fields, which were not accommodating to the seeds that were sown. When seed fell on such hard and unprepared ground, they would have been unable to take root at all. Instead, the birds would cluster around and eat them all. When a seed falls upon ground that has only a thin layer of soil, it cannot properly get root. In time, when the sweltering sun beats down, the seed will be scorched and die. Likewise, when converts receive testimonies on a superficial level but do not give their whole hearts to Christ, when they come to a shallow understanding of the truths of the gospel, they will be only lukewarm in their commitment. Trials can also be a great cause of people falling away from the truth they once so joyfully embraced. In this parable, the scorching of the sun is a symbol for tribulation. Because the seed has no root system, it has no way to sustain itself through the inevitable times of difficulty. The only seeds that ultimately bore fruit were those that fell on good ground. But even good ground is not all the same.